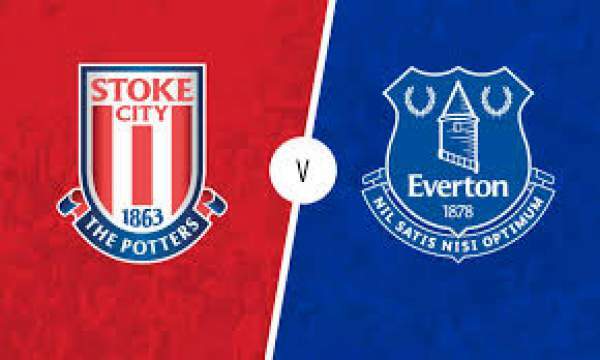 Today we have Everton hosting Stoke City at the Goodison Park for the match and both the teams have been in a lot of confidence with their successful boxing day fixtures as both the teams ended up winning their ties. Everton are 9th on the table with 26 points on the table, below Liverpool by one point and above West Ham United by goal difference whereas Stoke City are 11th on the table with 26 points, below West Ham United on goal difference and above Southampton by two points. 28th December 2015 at 20:30 IST. Everton is starting o hit their good form after some time and has been moving up on the table in their recent performances. They have won five, drew eight and lost four in the total 18 matches played in the league. They have drawn three, against Bournemouth, against Crystal Palace and against Norwich City, lost one, against Leicester City by 2-3 and won one, against Newcastle United by 0-1 in their last five matches in the league. They played Newcastle United on the boxing day in the league and won by 0-1. The match was played at Newcastle’s home and for the most time it was dominated by the away side with 58% possession Everton were having the most ball and with 20 shots out of which seven were on target, Everton were trying really hard to score but the goal came on very late in the 93rd minute as Tom Cleverley scored the winner. Stoke City’s form have been up and down in the recent games but they like to destroy Manchester clubs at home, just like they beat Manchester City by 2-0 at home, they played Manchester United on the boxing day and destroyed them 2-0. They have won twice against City and United by 2-0, lost twice, against Sunderland by 2-0, against Crystal Palace by 1-2 and drew once in their last five games in the league. They played against Manchester United on the boxing day and won by 2-0, the first goal was gifted to Stoke by Memphis Depay as he misjudged his header back to De Gea and the second goal was a cracker of a shot as Arnautovic scored an absolute beauty. Howard, Coleman, Stones, Mori, Baines, Barkley, Barry, Cleverley, Lennon, Lukaku, Mirallas. Butland, Johnson, Shawcross, Phillipp, Pieters, Cameron, Whelan, Shaqiri, Afellay, Arnautovic, Bojan. Both the teams are in good form and anybody can win this one.